This hardware connects a computer to a local network or the Internet via a wired connection. Many of computers today feature an Ethernet pot on the motherboard and don’t need a separate adapter. However, some laptops support WiFi connections only. In such situations, buying and installing a separate Ethernet adapter is important. It will change how you work by improving the connection. It is a great option to have especially if you are a heavy internet user. For desktops or laptops that don’t have an Ethernet port, buying an Ethernet adapter that connects externally is a good idea. Macbook computer, on the other hand, support a Thunderbol Ethernet adapter. Make sure to get the right one to avoid any hassles and inconveniences. Compatibility and finding the right item is really important. With more people who still opt for this kind of setup when connecting to the internet, different brands and manufacturers are now making a variety of Ethernet adapters. This makes it quite tricky for some to find the best one on the market. If you’re one of those looking for a premium quality Ethernet adapter, QacQoc introduces some of its latest products. For your guide, here are some of the best QacQoc Ethernet adapters you can choose from. Use this USB Type C port to add network connectivity to your laptop or computer. It is compatible with various computer brands and products. It doesn’t require external power or installation of discs. Just plug your device in the hub and enjoy its functions. It’s as easy as that! Enjoy amazing speed and endurance when your wireless connectivity is unreliable with this Ethernet adapter. It allows its users to take full advantage of fast, reliable and smooth access to the internet at speeds of up to one Gbps through the port. 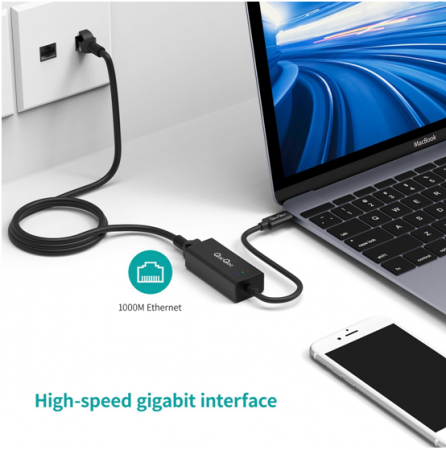 Thus USB type C to gigabit Ethernet adapter allows you to improve or add network connectivity to your laptop or computer. It allows large downloads with amazing speed and without interruptions. You no longer have to worry about over-extended and inconsistent wireless connectivity. You can enjoy long hours of video streaming without issues. These Ethernet adapters are amazing and remarkable in their own rights. 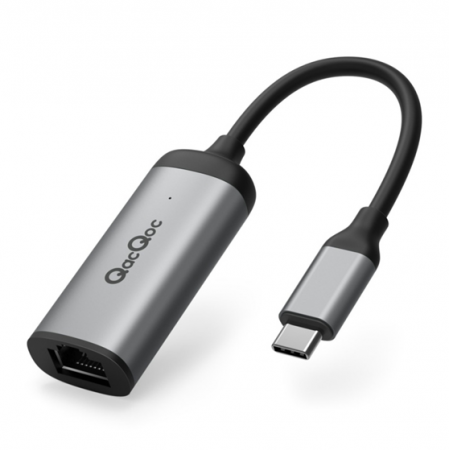 Though they may the same features and functions, they all differ in USB connection. USB is the standard when it comes to connectivity. Over the years, the standards in relation to USB connections have changed, resulting to further technology development and innovation. These three Ethernet adapters have different USB connections, name USB type C and USB 3.0. 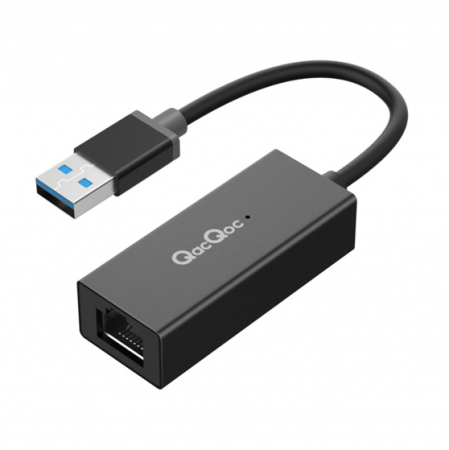 When it comes to offering high-end Ethernet adapters that will allow you to improve your web browsing experience, QacQoc has a lot to offer. With its powerful technology, you no longer have to worry about slow wireless connections and enjoy a speedy connection. These Ethernet adapters may have a lot of similar features, but they all have unique characteristics that make them in demand in today’s market. Look out to these products the next time you find yourself searching for high quality Ethernet adapters.